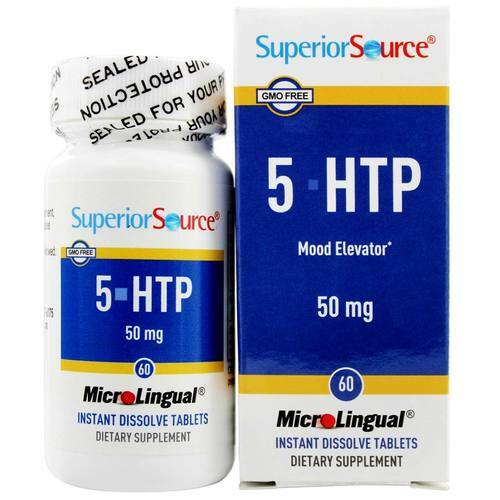 5-HTP from Superior Source features a natural peppermint flavor. Warnings: Keep out of reach of children. Do not take more than recommended dosage. Contains milk. Do not use if safety seal is broken or missing. Consult healthcare provider before starting this or any other dietary supplement. 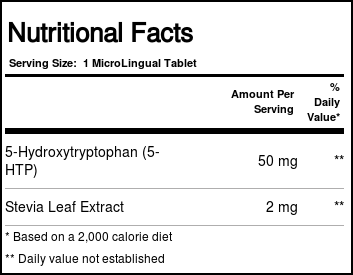 Recommended Use: As a dietary supplement, dissolve one MicroLingual tablet under the tongue. This product may also be swallowed. The customer reviews posted below are based on individual consumer experiences and may NOT necessarily represent what expected results will be from using or taking Superior Source 5-HTP - 50 mg - 60 Tablets. These results may not be typical and you should not necessarily expect to receive the same results. Actual results may vary.